Product prices and availability are accurate as of 2019-01-12 20:37:03 UTC and are subject to change. Any price and availability information displayed on http://www.amazon.co.uk/ at the time of purchase will apply to the purchase of this product. 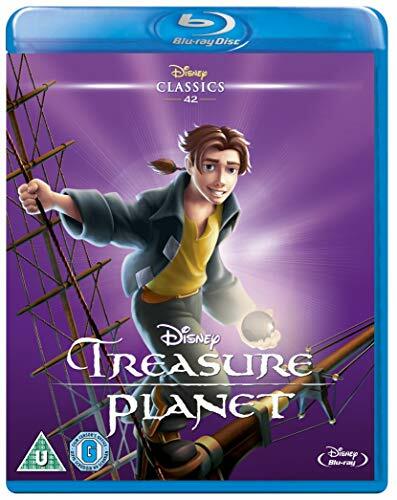 Please note this is a region B Blu-ray and will require a region B or region free Blu-ray player in order to play.Disney's animated sci-fi version of Robert Louis Stevenson's classic adventure tale 'Treasure Island'. When he is given a star map with directions to a remote planet where space pirates store their treasure, Jim Hawkins realises this is his chance to embark on a life of adventure and signs himself up as a crew member on the spaceship R.L.S. Legacy. The Legacy soon blasts off in search of the Treasure Planet, but it is not long before rumours of mutiny begin to spread, with the part-cyborg Long John Silver leading the way. Cult TV Store is a participant in the Amazon Services LLC Associates Program, an affiliate advertising program designed to provide a means for sites to earn advertising fees by advertising and linking to Amazon.co.uk, Endless.com, MYHABIT.com, SmallParts.com, or AmazonWireless.com. Amazon, the Amazon logo, AmazonSupply, and the AmazonSupply logo are trademarks of Amazon.com, Inc. or its affiliates.